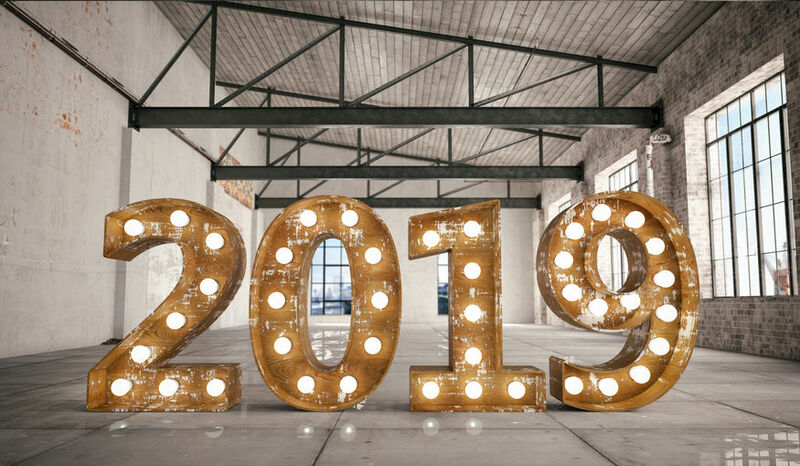 newsinspirationWhat Your Attendees Will Expect from You In 2019? Have you noticed that it’s becoming harder and harder to surprise or enchant your attendees? It’s as if you no longer know what will amaze your guests or what will make them angry or annoyed. Planning an event has become similar to walking on eggshells, not being certain about any of the planning innovations you are bringing to the table. Not sure what I’m talking about? Think about the restaurant industry. If restaurants don’t keep up with the interior, the food, and the service, people will stop eating there and leave bad reviews online. The same thing happens in our industry. The world is evolving, meaning that your attendees’ expectations are changing. Each year, we must improve our events and spice up the attendee experience with new elements perfectly aligned with the guests’ worldview. If not, we might run the risk of alienating our audiences. These changes come in multiple forms. From event location to attendees’ wellbeing, it’s time to rethink the way we design, plan, and run events. If there’s one thing to take away from this article, it’s this: Attendees aren’t interested in simply exchanging business cards anymore. Long gone are the days when you’d be planning coffee breaks or run ice-breaking games to get your guests to interact with each other. Your attendees’ networking needs are changing. They’re no longer searching for transactional exchanges. Instead of dry conversations conditioned by hidden agendas, your attendees are seeking truly meaningful networking experiences that will lead to transformative interactions and further collaborations outside the event. Put more thought into designing the networking sessions by understanding what your guests are looking for, ensuring a better match between the offer and demand. As the futurist and trendwatcher Tom Palmaerts indicates, food waste is a real problem the events industry has the power to reduce, having the opportunity to promote a more sustainable approach to life. One example is, if your event is offering catering, to provide edible plates and cups, which eliminates the use of plastic. Palmaerts notes that if you continue using plastic at your events during the next years, attendees will get angry because of your lack of responsibility. Another option is to look at different type of food, such as insects (although still difficult to imagine) and seaweeds, which is extremely healthy and tasty. Seaweed (also called sea-vegetables) burgers are a great alternative to traditional ones. According to Palmaerts, wellness tourism will increase 10%. People are searching for good quality food and experiences. For example, there are plenty of tourists who travel to Denmark only to eat at Noma restaurant, or go to wellness hotels, spas, or resorts, etc. A new important trend is people traveling in search of wellness experiences. Translated to events, we need to approach the attendee journey from a holistic perspective, integrating health, consciousness, and good living. That means that you, as an event professional, should ask yourself how you can help people have a great day and enjoy their attending experience through a compassionate and intentional approach. If people travel the world for wellness and your event is a wellness hotspot, they’ll want to attend. An important aspect that will express your care for a sustainable approach is the location of your event. Smaller cities are more cost-efficient and, at the moment, very interested in attracting big events. By placing your event in a smaller, unknown city, you’ll give your attendees the opportunity to discover new destinations, while contributing to the development of local economies at the same time. This combination of small-city hospitality, modern event infrastructure, and a collaborative approach (between the planning team and the local authorities) may be a winning combination that will attract more attendees in 2019. In terms of knowledge exchange and content, you should forget about the shallowly packed sessions that walk your attendees trough industry trends or highlights, without offering anything valuable. Considering that you are competing now with much easier forms of getting the information (such as YouTube), you’ll have to spend some extra time thinking about the content. The sure solution is to go more in-depth and focus on using your event as a platform for sharing exclusive insights that your guests won’t be able to find anywhere else. That being said, it’s time to forget what worked last year. It’s a new beginning, and the only way to succeed is to accept that our attendees’ needs and expectations are changing. Also, it’s crucial to keep a good attitude and to see these shifts as a great opportunity to level up and improve to achieve better results.